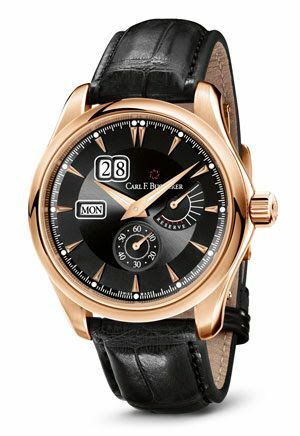 Combining the best of high functionality and sophisticated technology, the classically elegant Manero PowerReserve from Carl F. Bucherer epitomizes the best of menswear accessory style for fall 2014. The power reserve indication is a classic design element with a tradition of its own. Originally used in marine chronometers, it soon became an established feature of wristwatches as well. 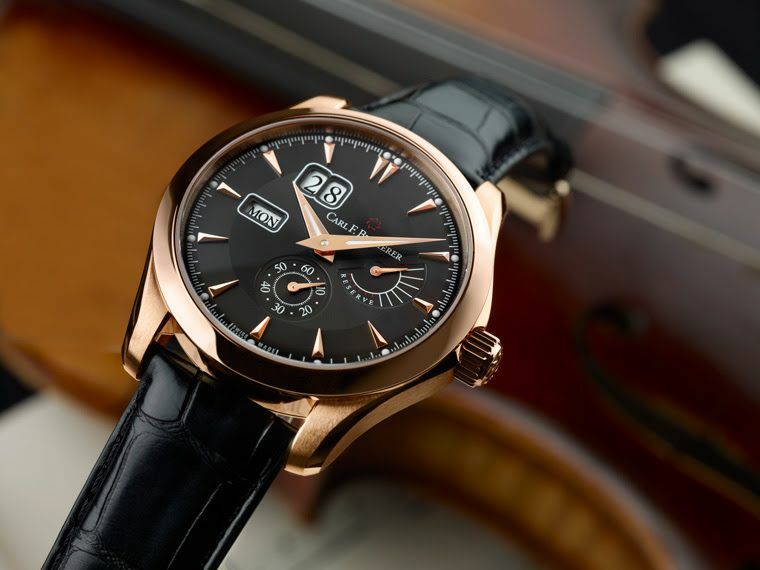 In the Manero PowerReserve, the functionality and design of the power reserve indication are perfectly combined, creating a striking and unique watch face. On a semicircular indication at 3 o’clock, a hand shows the power remaining. As the power is used up, the hand slips into a red shaded area. The day of the week (at 9 o’clock) and the special big date (at 11 o’clock) can also be read at a glance, as can the integrated small seconds at 6 o’clock. The optical variation between the inner and outer rings of the dial provides a pleasing transition to the 18 Kt rose gold case, which is 42.5 mm in diameter and 12.54 mm in depth. 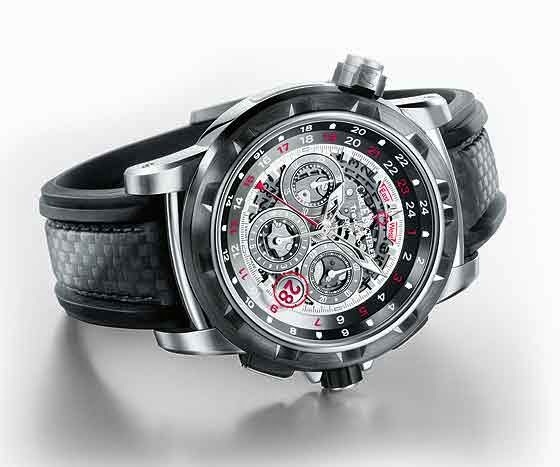 The timepiece is beautifully complemented by the black alligator-skin strap. As a further development of the CFB A1002 Manufacture caliber, the CFB A1011 shows the power reserve by means of a hand, recalling classic elements of watch design. A particular feature of the movement is the peripherally mounted and bidirectional oscillating weight, which supplies power to the automatic gear train. The patented dynamic shock absorptionsystem known as “Dynamic Shock Absorption” (DSA) offers the ultimate in efficiency and reliability. the watch merge with Classic Design that is very popular nowadays.